#1 Burbank Repipe Specialist for Copper & PEX repiping. When your water pressure is low and the water tastes rusty and bad, it is time to consider repiping your property. Integrity Repipe Inc is an entire PEX repipe company in California. Every crew member is certified, highly trained and experienced. Integrity Repipe’s highly trained technicians use non-invasive leak detection equipment (ultrasonic electronic meters, thermal imaging, infrared thermometer and acoustic sensors) to accurately locate the leak to save time, money and avoid unnecessary property damage. Call us for all your copper & PEX Burbank repipe! Integrity Repipe has been delivering results since we opened in 1990. We offer a Lifetime Transferable Warranty on ALL PEX- A Water Pipes and all Labor Workmanship. Integrity Repipe has over 26 years of experience in Repiping, Rerouteing, and Slab Leaks and is rated #1 in the country. 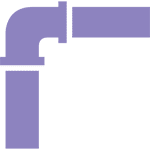 If you are looking for an affordable repipe plumbing company near you, give us a call. Our residential repiping services are affordable and the best. Whenever you are renovating your home, you want it done quickly, at a low cost, and with excellent patchwork. At Integrity Repipe Inc, our technicians are trained to work clean and organized. Joe Ludlow is the owner and specialist repiper that trains his crew members. He teaches his crew to repair drywall and stucco patches properly and leave no evidence that a plumbing crew was at your property. Knowing that clients want the job done quickly, a 2-3 bathroom home takes about 3 days. One say to repipe the home. One and half days to patch the drywalls, stucco patches and texture. Our repiping is the full abatement of the hot and cold pressurized water lines in your home. To learn more, contact us. The cost of old pipe replacement in Burbank, CA depends on the size and type of home, but the average for a 2 bathroom home is $4000 -$5000. That is including the entire repipe of the home to the drywall and texture repair, NO hidden fees or taxes. Integrity Repipe Inc specializes in PEX repiping system. It has better features and, with Integrity Repipe, it is a lifetime guaranteed. Correctly done PEX repipe will eliminate low water pressure, brown or rusty water and provide better tasting water! Contact us to learn more! Leaks are caused by old worn out materials, low grade or recycled materials or poorly installed systems. Even the newly constructed homes can leak due to the new copper lines are made with recycled materials from China. At Integrity Repipe Inc, we installed USA Made Only Materials with a lifetime transferable warranty. Most people that choose to repipe their home is due to by having active leaks in their copper, CPVC, or galvanized plumbing systems that could or have caused extensive damage to their homes. You have two options, repair the leak to avoid the cost of a full repipe, or hired an affordable California PEX repiping company. PEX repipe your entire home can avoid the repeated cost of repair after repair. Repiping your home with copper is more affordable than PEX, but PEX pipes have better quality and last longer. PEX pipes can resist corrosion, pitting and scaling, flexibility helps resist freeze damage, dampens rushing water noise; eliminates water hammer and singing pipes, retains heat in hot-water lines and resists condensation on cold-water lines. Whereas Copper pipes do not offer these features. 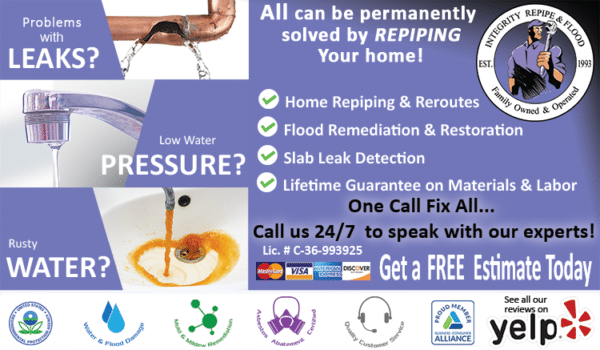 With non invasive leak detection, Integrity Repipe in Burbank is just the residential repiping company to take care of your leaky pipes and and full pipe replacement. 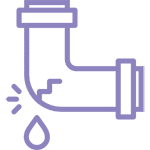 When your plumbing becomes compromised and results in leaks, low water pressure, and sometimes even rusty water, the technicians at Integrity Repipe can help restore the plumbing in your home or business to make sure you get the most out of your water services. Fully licensed and insured, Integrity Repipe will respect your home and leave it as clean and preserved as it was found. 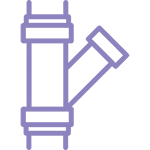 With free estimates and rapid response times, Integrity Repipe will work to make sure that your pipes are in proper working condition once all is said and done. Call us today for more information!